Hi there! Thanks for showing an interest in joining my Newsletter. 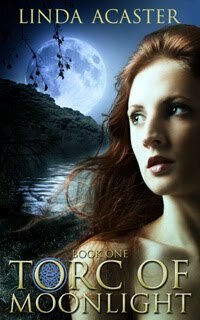 You find me in the middle of updating my publicity, so in exchange for subscribing I'm currently offering, for FREE via Smashwords.com, Torc of Moonlight, Book 1 in the Torc of Moonlight trilogy. Read about the trilogy. To kick off my Newsletter, add your e-address, first name and last name in the boxes below and click "Subscribe". A window will open in a separate tab with a Captcha tickbox and a confirmation "Subscribe" to ensure you're not a robot. A final window will open confirming your subscription, complete with the link to the book and its 100% discount coupon code. If you want to join my Newsletter mailing list but don't want to take advantage of the free book, that's fine too. After a few days a series of Welcome emails will start, which will include information, news, discounts and other freebies (not all mine). You can unsubscribe at any time; there's a link in each Newsletter. One last thing: I never disclose or share your information. Enjoy your reading. Smashwords.com will deliver the novel via a 100% discount coupon used at its check-out. There's a choice of formats: Mobi for all Kindle-related e-readers and apps, or ePub for Kobo, Nook, iBooks, etc. For your security you'll need to sign in or create an account, but it will take less time than reading this, honest.